Chennai coach Stephen Fleming has hailed Rishabh Pant ahead of the Delhi-Chennai IPL clash. 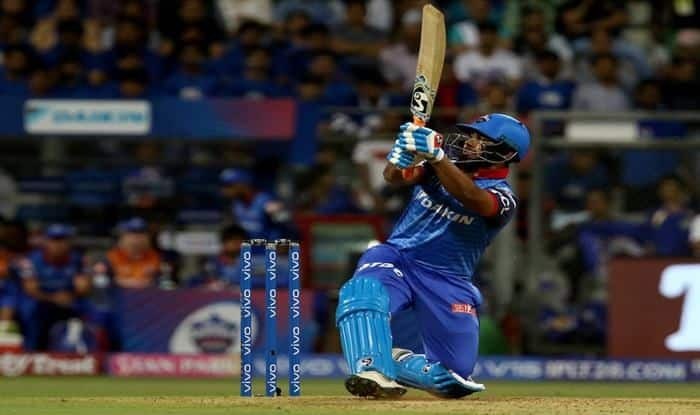 Rishabh Pant’s display against the Mumbai Indians have drawn praise from opponents and fans alike. Latest to hail the Delhi Capitals player was Chennai Super Kings coach Stephen Fleming, who termed him as a great young prospect of the Indian cricket during the pre-match conference ahead of his side’s clash against Delhi, on Monday. The 21-year-old displayed his brilliant best to guide the Delhi Capitals to a 37-run win over Mumbai Indians in the 12th edition of cash-rich Indian Premier League (IPL) on Sunday. With his unbeaten knock of 78 off just 27 deliveries, Pant gave solid proof of why he should be on the World Cup-bound plane to England. Pant got those runs in only 27 balls and while the relentless onslaught would do his confidence a world of good, Jasprit Bumrah’s shoulder injury two months before the ICC showpiece left the Indian cricket fraternity on tenterhooks. Pant had earlier captured attention when he displayed some top performances during Indian cricket team’s tour of Australia. He was already being touted as the successor of veteran MS Dhoni, who is likely to retire after the forthcoming World Cup. Delhi Capital’s Pant will now be expected to build upon his scintillating performance in the opener. That the Indian cricket board (BCCI) recognizes Pant’s potential was evident during the recent contract renewals. He was among other big-earners in the team and received a ‘Grade A’ contract – a reward for his hundreds in England and Australia. CSK will next play against face Delhi capitals at Feroz Shah Kotla Ground in Delhi on Tuesday.